The warm and friendly Central and Southern Italy, a beautiful land, full of history, poetry and tasty foods and cultural traditions. 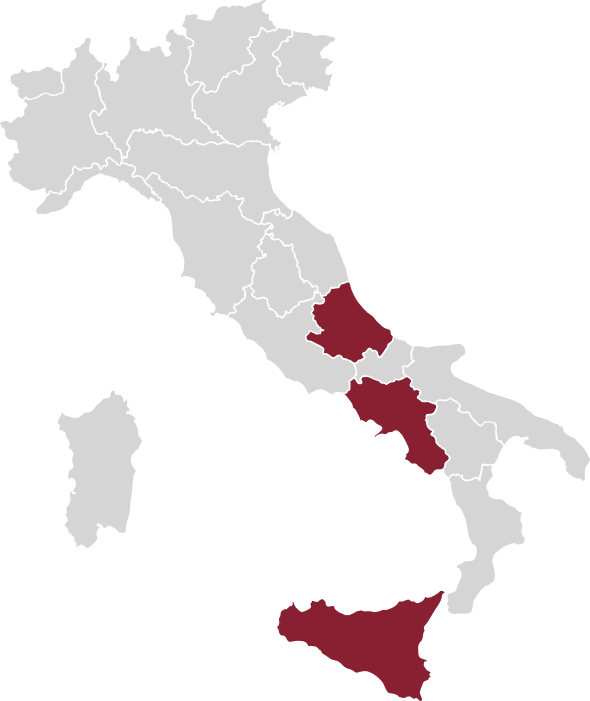 Italy is also this: important wines from these lands. For 30 years Botter has been working with local producers from Abruzzo to Sicily, Campania and Apulia, where in 2017 Botter acquired “Masseria Doppio Passo”.